New Promo - That's Bruce Wayne to You. He's B Dubs to His Cousin. 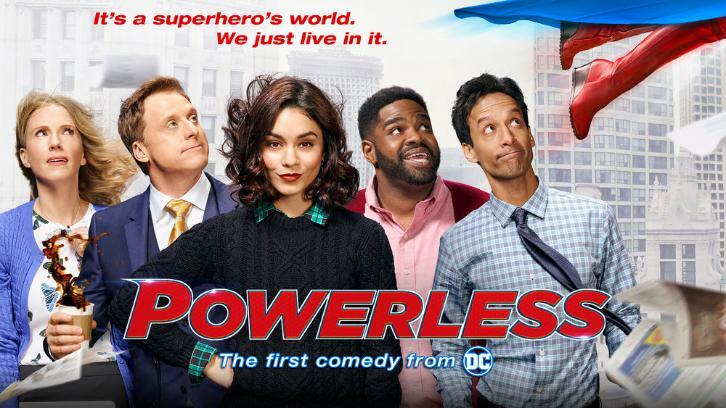 “POWERLESS” — Thursday, Feb. 2 at 8:30 p.m.
Danny Pudi, Christina Kirk and Ron Funches also star. Justin Halpern, Patrick Schumacker, Len Goldstein, Marc Buckland and Dean Lorey are executive producers of “Powerless.” The series is produced by Warner Bros. Television and is based on the characters from DC.